Well, not really. Let’s say you list a home for a short sale. Many times, the homeowner has other financial problems besides the mortgage on his or her home. The homeowner may decide to file for bankruptcy. That’s OK. Your chance to complete the sale is not dead, but it is on hold. 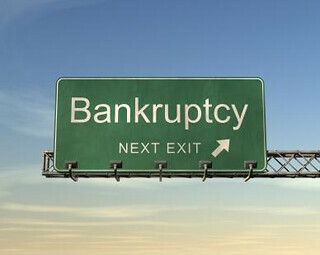 The filing of a Chapter 7 bankruptcy creates a bankruptcy estate, and all of the debtor’s (homeowners) property goes into the bankruptcy estate. The bankruptcy trustee must decide what to do with the debtor’s assets. First, the trustee must look at the assets that are exempt (protected by the statute). Next the trustee looks at assets which may be burdensome to the estate. Think about it, why would the bankruptcy trustee want to deal with this short sale, unless there will be extra money after the sale which will make a meaningful distribution to the homeowners other creditors. The bankruptcy trustee will usually abandon the property. In other words, the bankruptcy trustee’s main job is to liquidate assets to pay creditors. If the debtor/homeowner has an asset which will yield no return to the unsecured creditors, why would the Chapter 7 trustee waste their time? So the normal procedure would be to wait until the trustee abandons the asset, and then, a Realtor can enter into a new contract with the debtor/homeowner to continue the short sale process. Posted on September 11, 2013, in Legal and tagged Attorney, Bankruptcy, Bonita Springs Real Estate Attorney, Cape Coral Attorney, Cape Coral Real Estate Attorney, Carmen Dellutri, Chapter 7 Bankruptcy, Dellutri Law Group, Estero Real Estate Attorney, Fort Myers Attorney, Fort Myers Real Estate Attorney, Lawyer, Legal Schmegal, Property Guiding, SWFL Real Estate. Bookmark the permalink. Leave a comment.